The Michaelmas Court and Awards Luncheon took place in the splendid surroundings of Carpenters' Hall on 26th October 2017. The Prime Warden presided over a Michaelmas Court which comprised a wide-ranging agenda. Later, Mr Christian Sanders, Mr Shravan Joshi, Mr Andrew Hopper FWCB and Mr Brian Hill AWCB were admitted to the Livery of the Company. 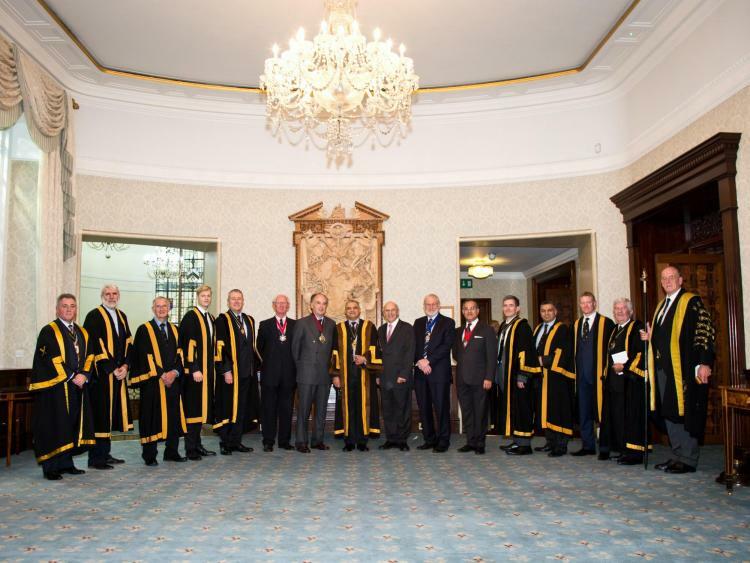 A Luncheon followed the Court at which members of the Company and their guests hosted the Masters of the Worshipful Companies of Cutlers, Loriners and Farriers. Immediately following the Luncheon, Company Awards were presented to blacksmiths from around the UK culminating in the presentation of a Gold Medal to Mr Brian Russell FWCB and the Tonypandy Trophy to Mr David Tucker FWCB.